It’s been a long time since I’ve worked on this, but I’ve finally resumed working on A Taste of Japan. It’s a video series that I started last year, and then intended on doing for every place that I went with my sister when she visited us in Japan. However, I only did six videos, got to a video that turned out to have many parts to be edited together, and stopped. 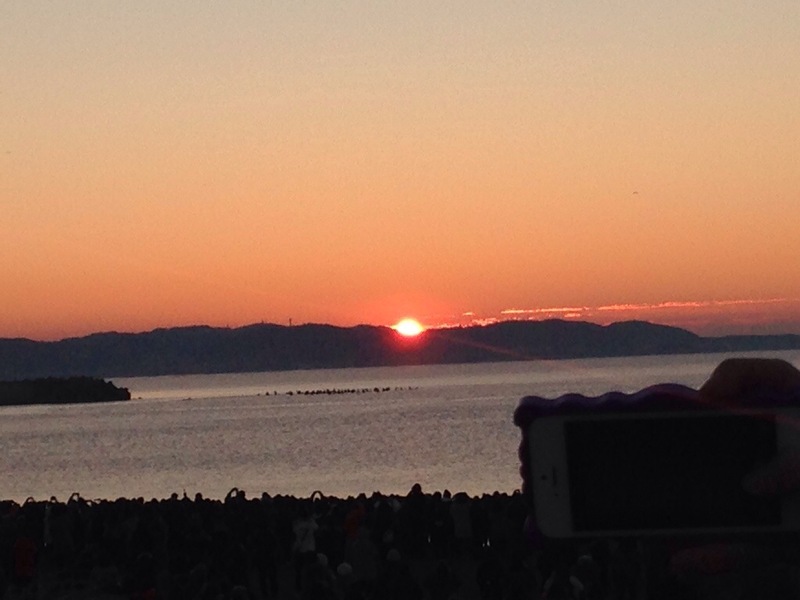 I absolutely love Enoshima. 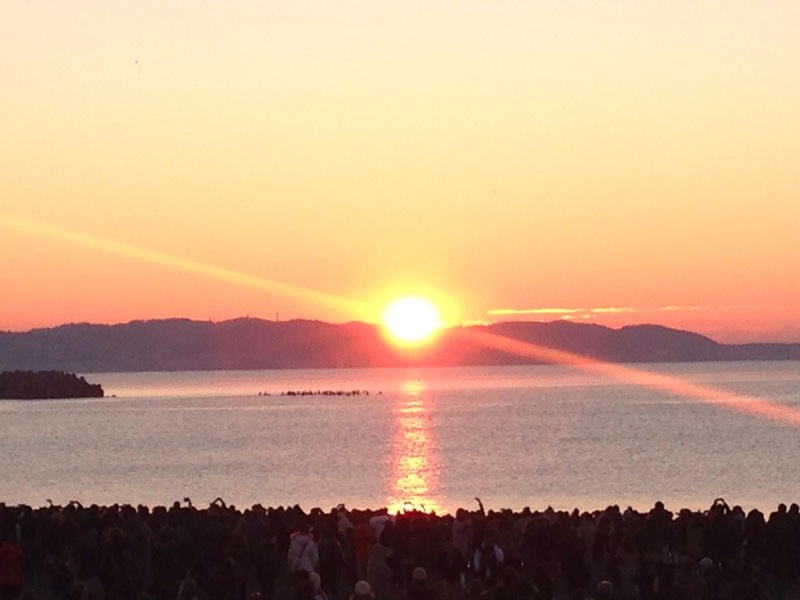 It’s a place I’ve been to a few times, though most of the time, I stayed on the mainland. Although it’s a bit long, I encourage you to watch it. 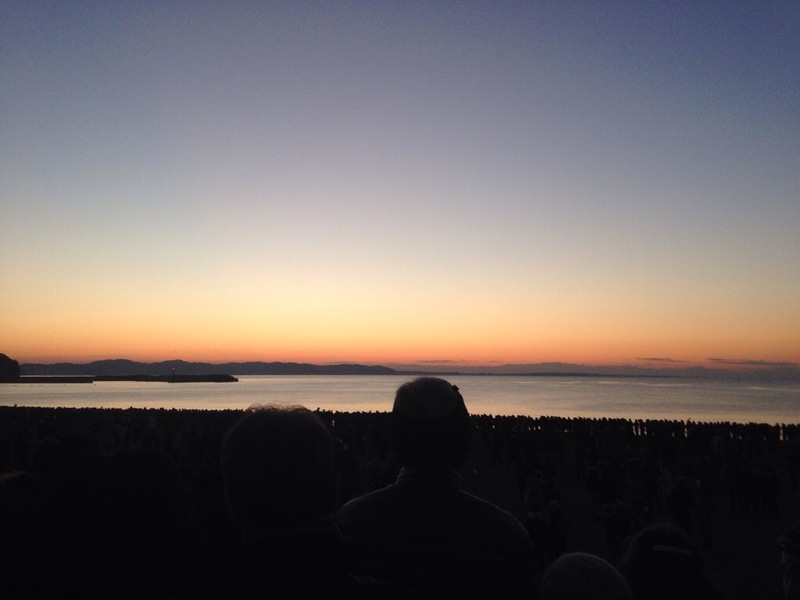 There are a lot of interesting things to see there, as well as many beautiful views. I’ll be doing a new video in this series every week. 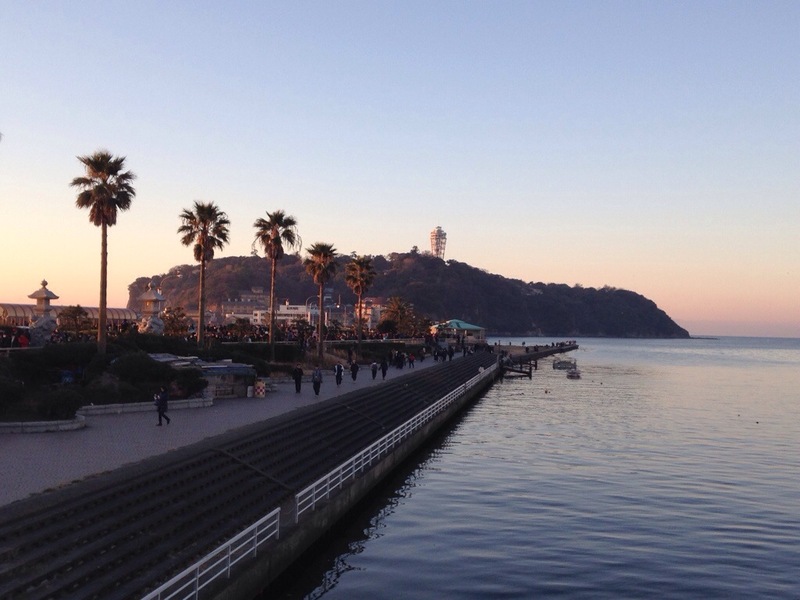 Next week is Enoshima Aquarium. Let me know what you thought in the comments section below. Here’s the next video. Two in twelve hours! 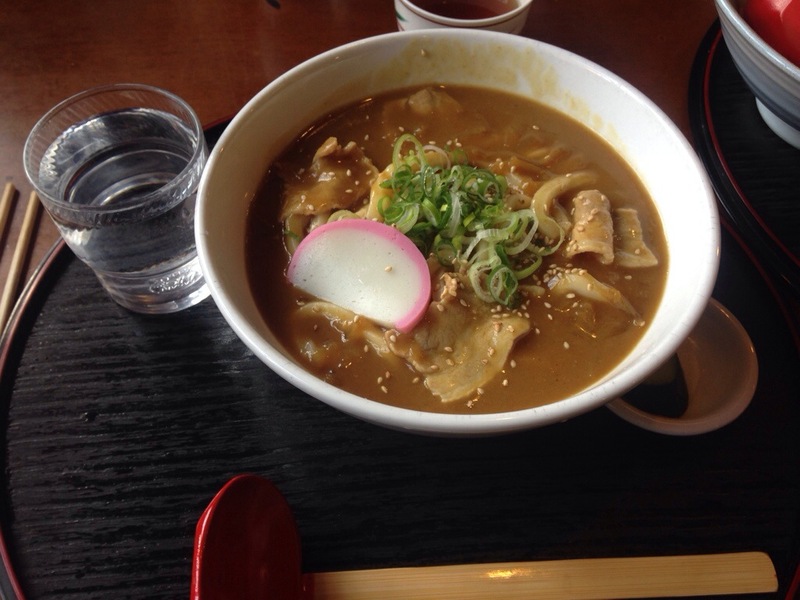 This time, we went to a local restaurant that happens to be in the Michelin Guide. The food is great. Enjoy. If you’re interested in trying out this restaurant, here is their website, which includes a map. They’re only open from 11:30 am to 2:30 pm Tuesday to Sunday, closed on Monday. Look good? What do you think? 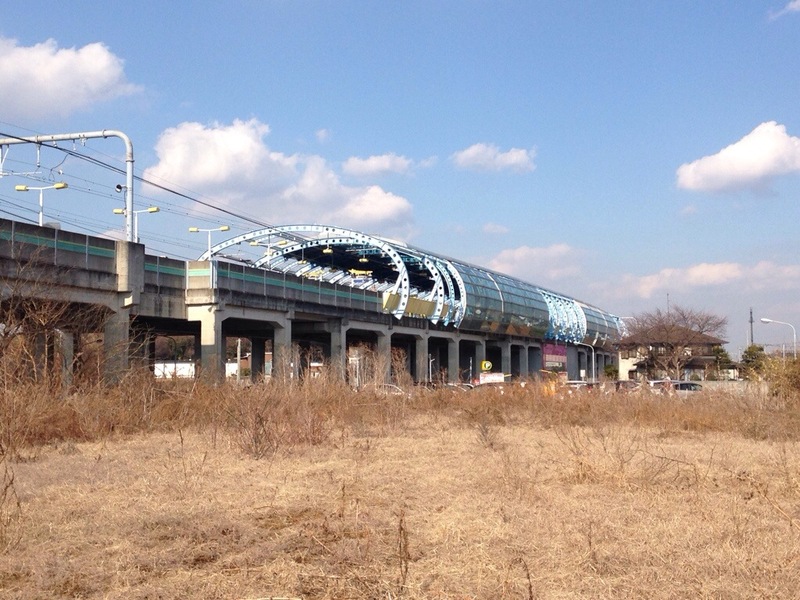 Today, we went for a walk to Izumi-chuo Station in Izumi Ward, Yokohama. We walked 17.8 km, and were treated to a lot of flowers and birds. 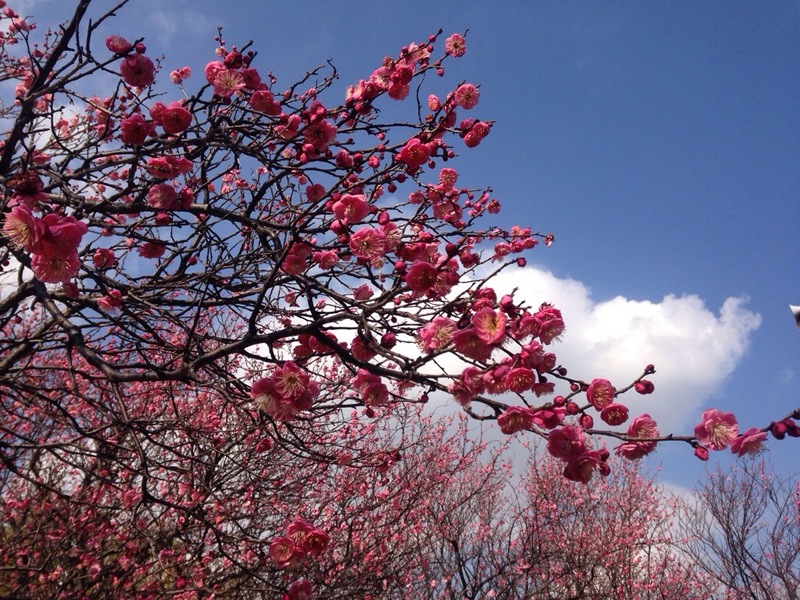 The Japanese plum trees are blooming, and the Kawazu cherry trees are beginning to bloom. It’s like spring! So, enjoy the pictures and video. 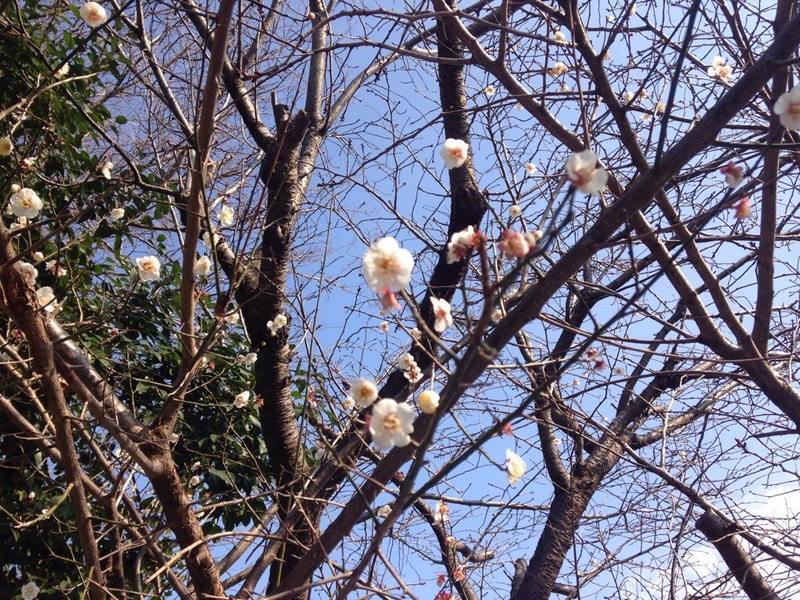 This first picture is a Kawazu cherry tree that’s beginning to bloom. 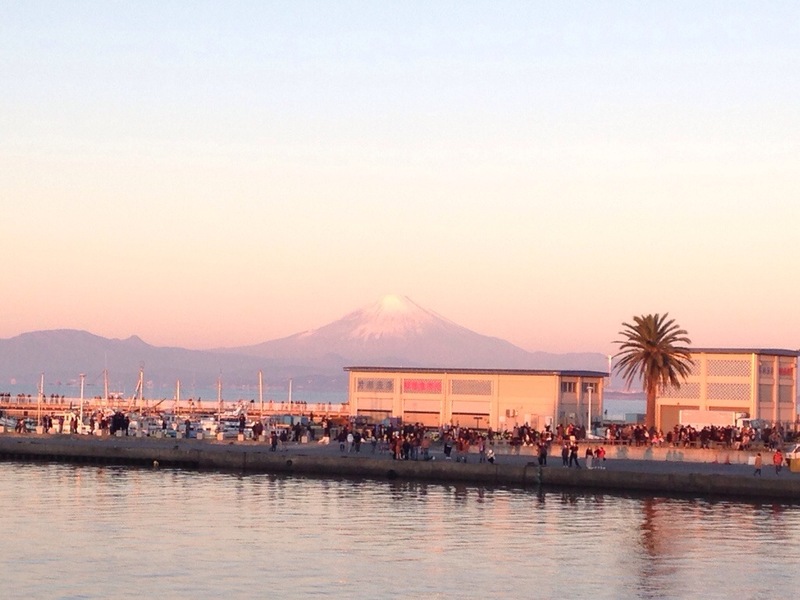 We will be going to Izu in Shizuoka prefecture later this month to see them in full bloom. 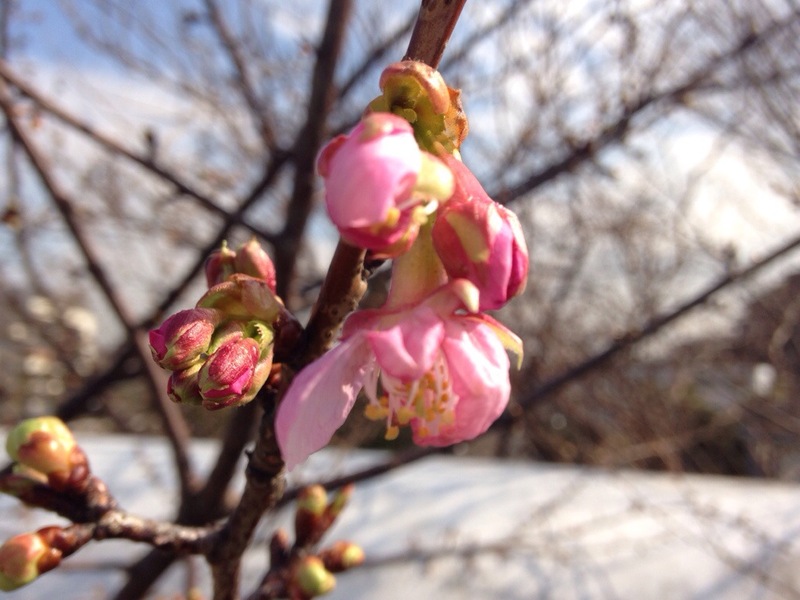 The flowers currently in bloom (nearly full) are the Japanese plum, or more correctly, the Japanese apricot. This tree has white blossoms. And here are the first birds we saw. 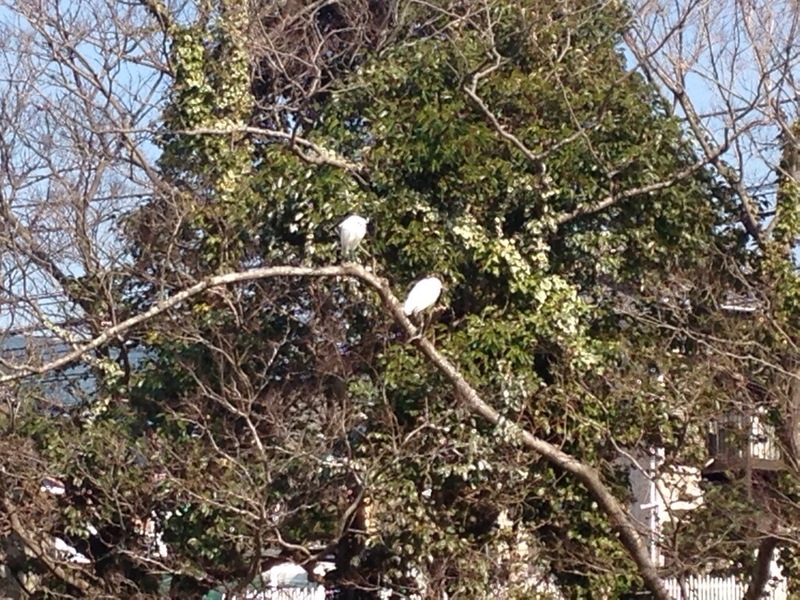 They’re great egrets. My wife saw about ten of them on this tree yesterday. 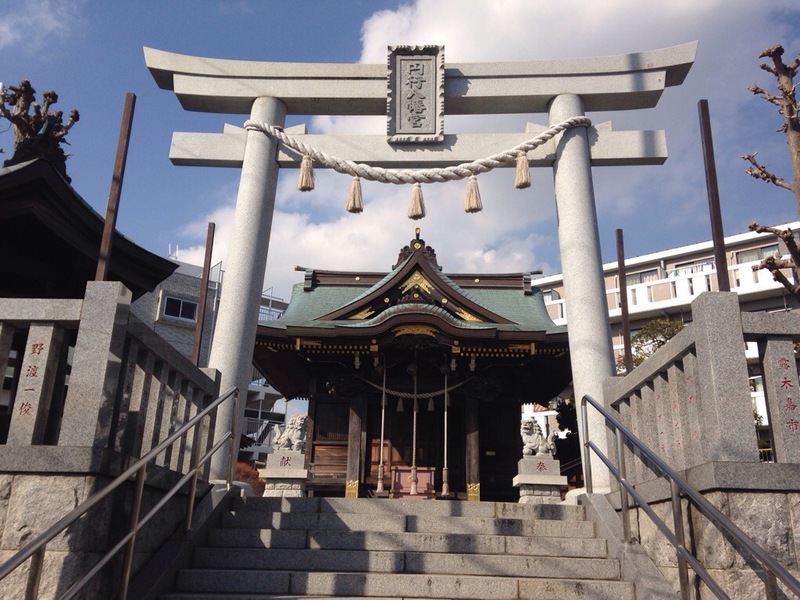 We walked past Engyou Hachimangu shrine early in our walk. I’ve been by this shrine so many times. I also did a video about it, which you can see here. 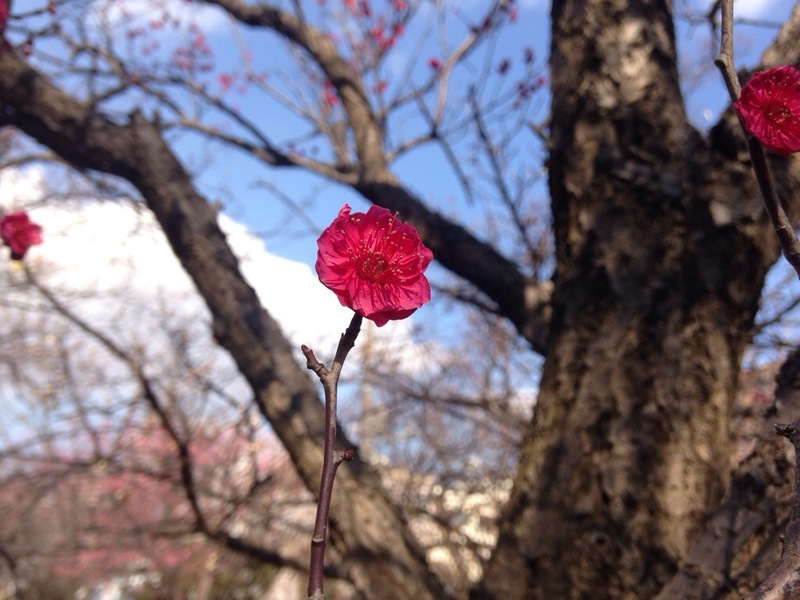 We made it to Engyou Park, and enjoyed the plum blossoms. Here are some bright pink ones. And this is a deep pink one. Can you believe this was taken with an iPhone? 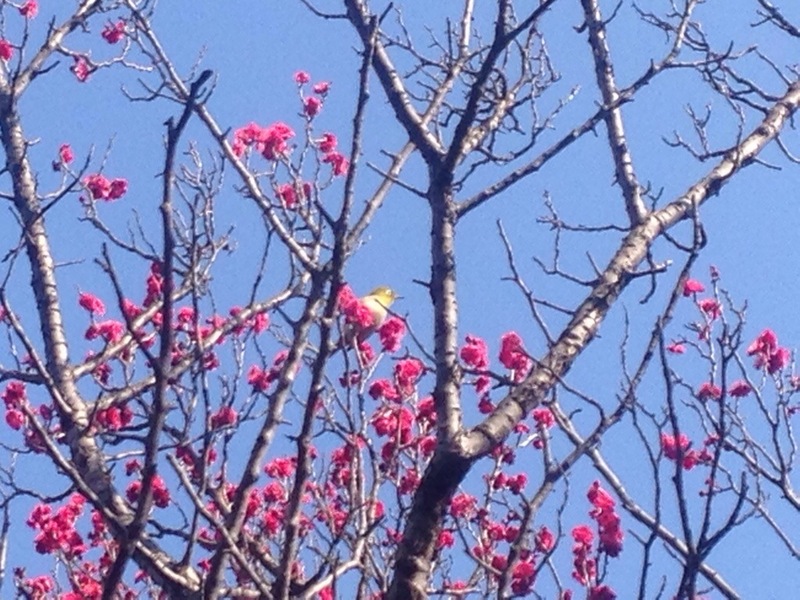 In this tree, we got to see a group of three mejiro, or Japanese white-eye. They’re a green bird that we can often see. 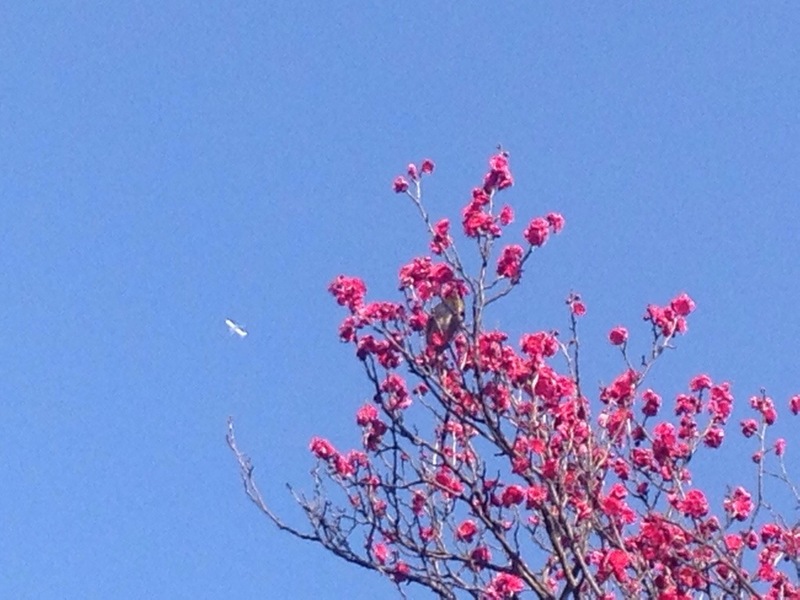 Here’s a mejiro with a commercial jet. I was able to get a video of a couple of mejiro. However, the second one flew away just as I was starting to record it. 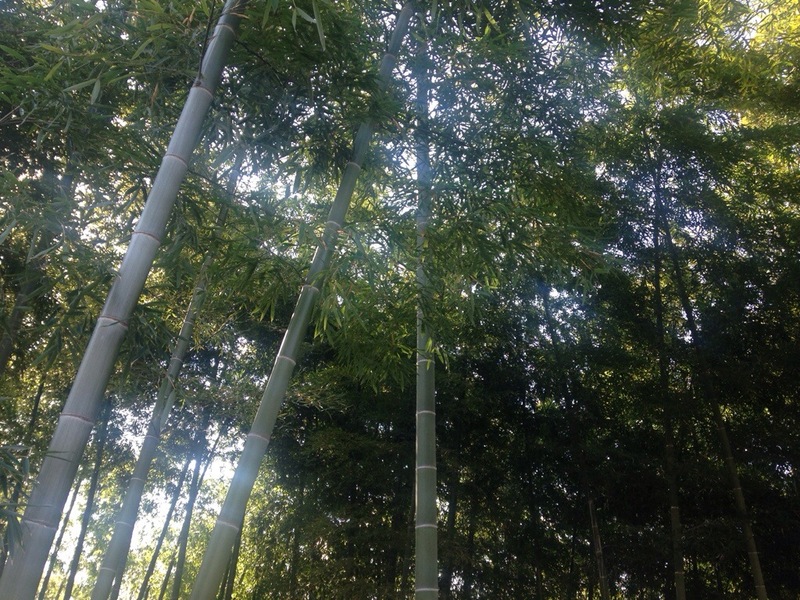 In the same park, there’s a bamboo grove. I love bamboo. 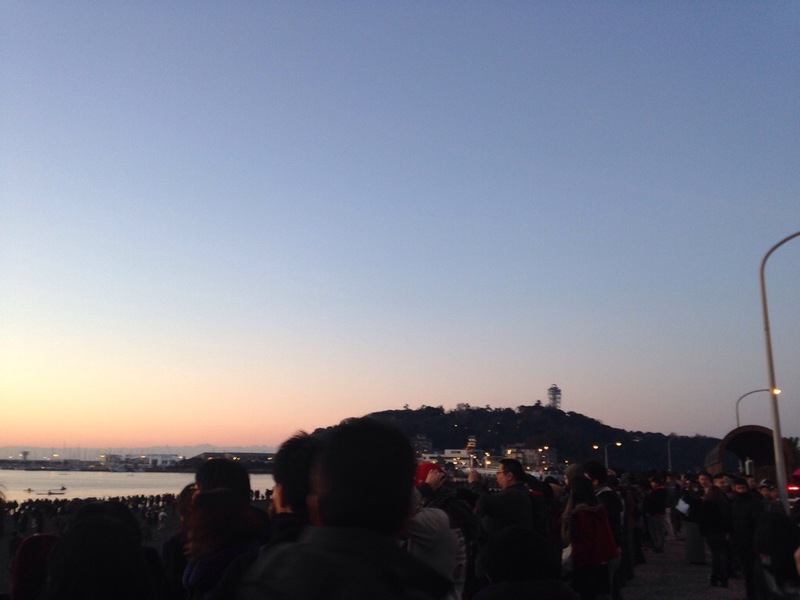 We walked for a while and entered Yokohama. 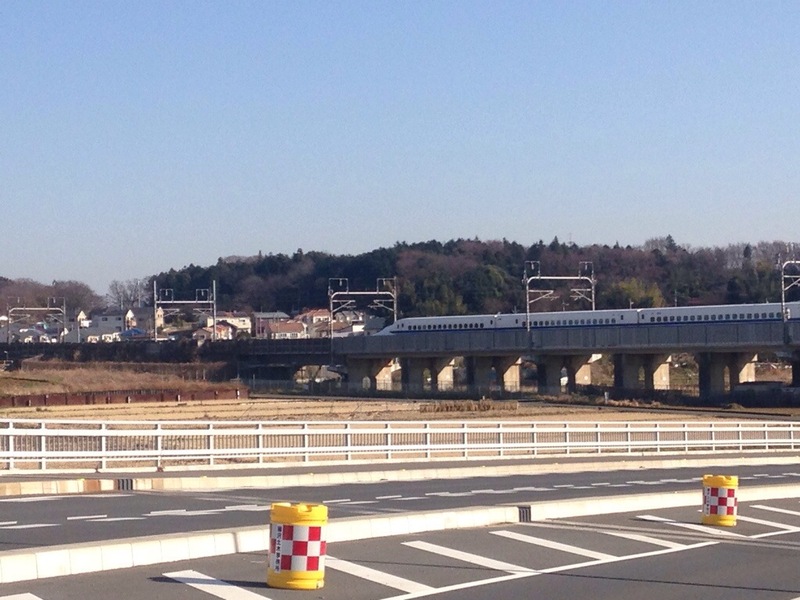 This is Yumegaoka Station, one of my favourites, although it’s rather quiet and has a lack of houses around it. 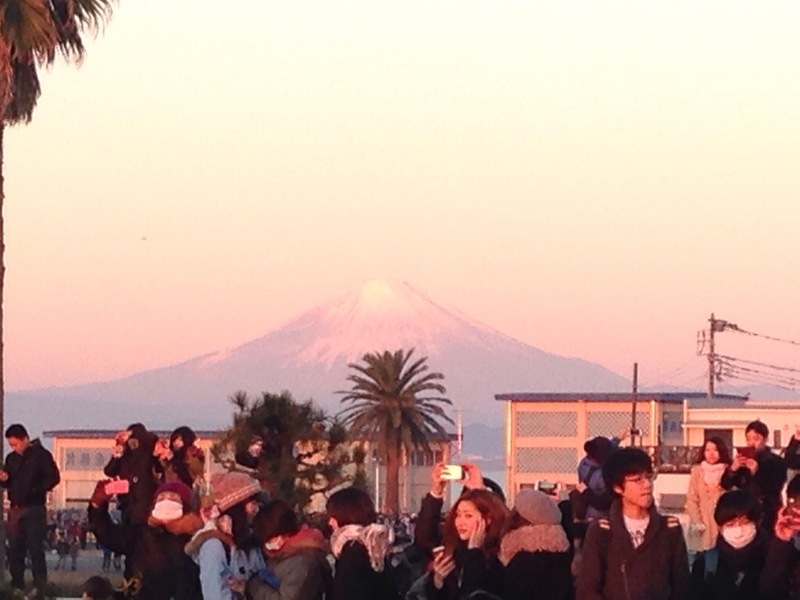 However, it has a wonderful view of Mt. Fuji. 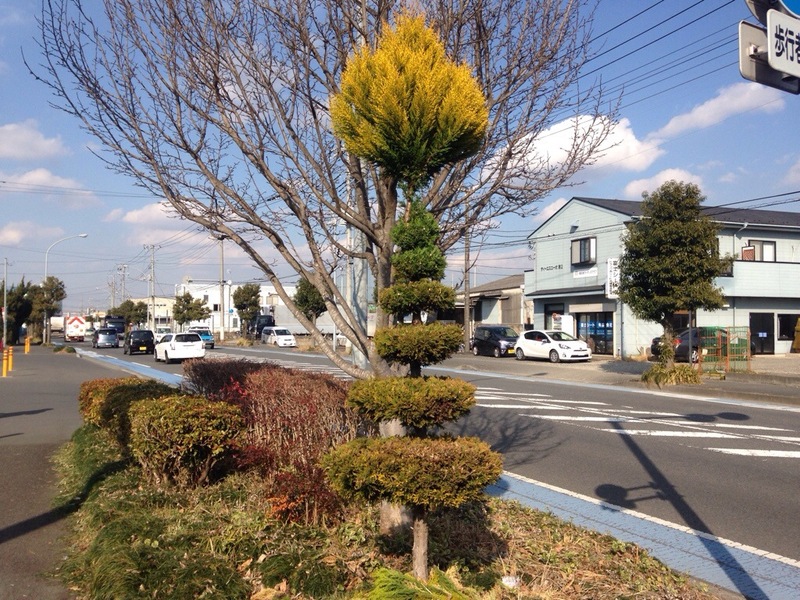 And near Izumi-chuo Station, I saw this tree. Weird. I took all of these pictures and the video with my iPhone. Better quality than my old digital camera. Hope you enjoyed the pictures and video. Comments are always welcome. I love fantasy novels. One of the things I love about them is the discovery and exploration of a new world. You get to see exotic locations, unique cultures, and amazing landscapes. But I don’t live in a fantasy world. I’m in the real world. But that doesn’t mean I can’t explore. On Monday, we went for a long walk. A 17.37 km walk, to be exact. 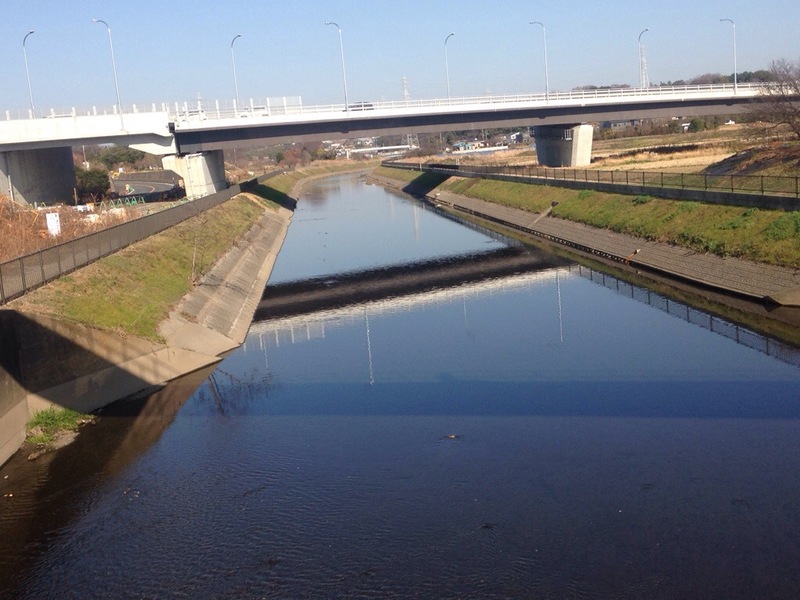 We walked from our home, all the way to the western edge of the city of Fujisawa, and back. 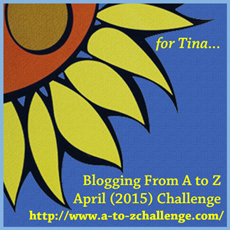 We saw some new things, tried a new restaurant, and went over familiar territory, as well. 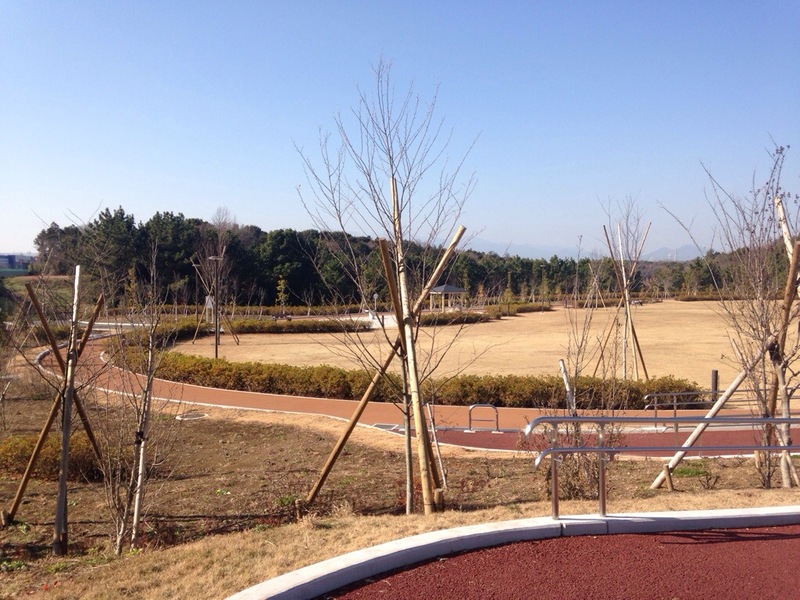 First, we found a new park. It was actually along a route we’ve walked before. It just opened. There’s a small hill on the northern end of the park. This is the view. Kind of underwhelming, though. 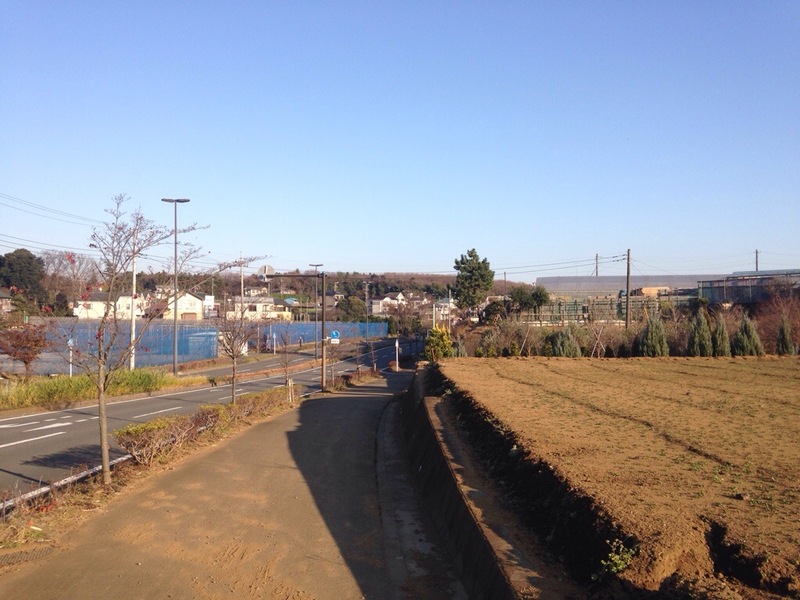 And it is winter, so the lack of greenery is to be expected. 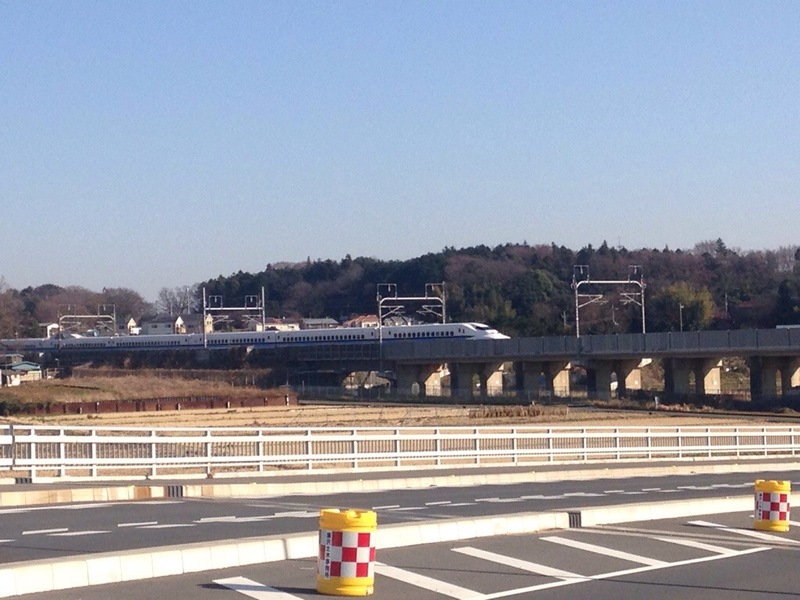 We saw several Shinkansen, or bullet trains pass overhead near the western edge of our walk. 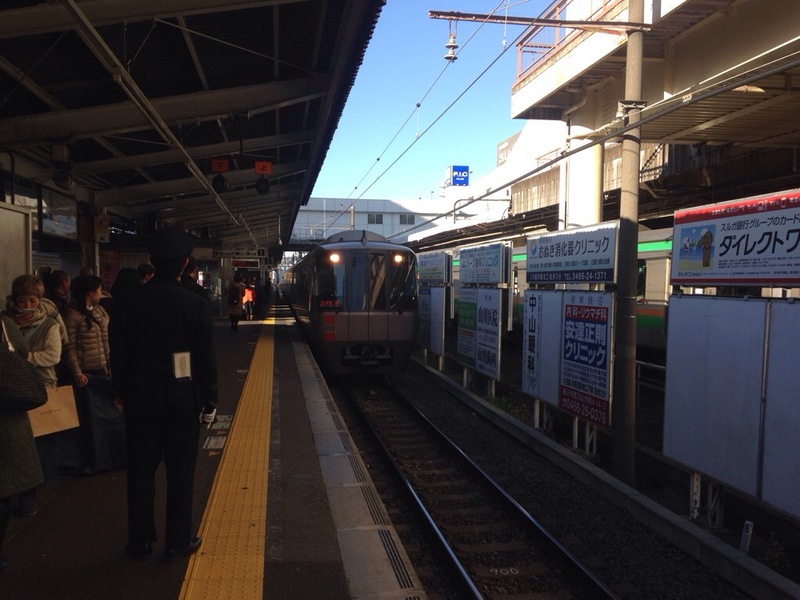 This one was heading toward Shin-Yokohama. That’s the front. The above three pictures were taken from a new bridge called Yoda Oohashi (or Yoda Big Bridge). 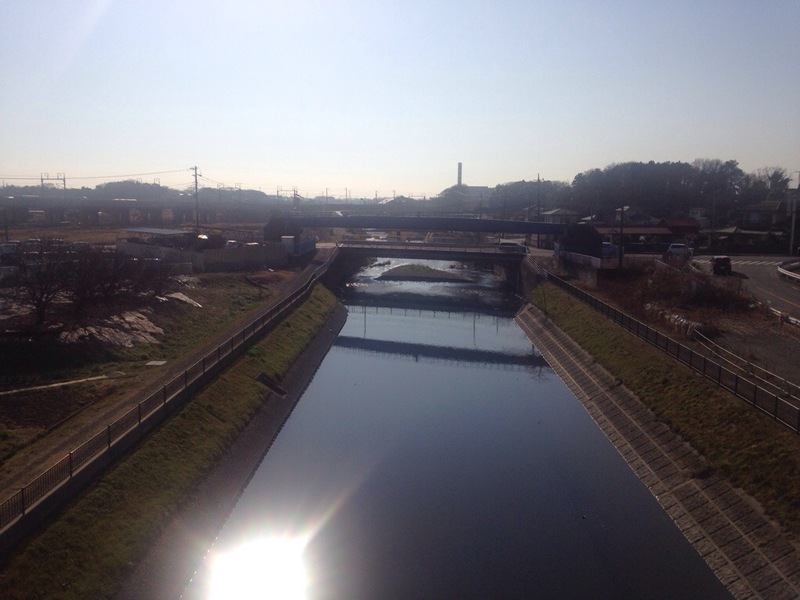 It went over the Megujiri River, which you can see below. We got off the bridge, and you can see it below. We crossed back over the river, but another bridge. 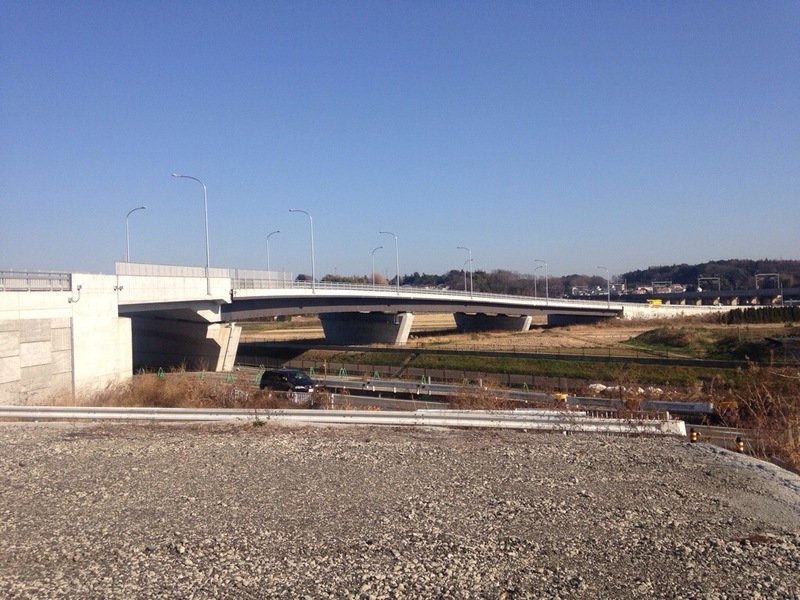 Below, you can see the new bridge. It was around noon, and we were hungry. We found an Indian restaurant, and decided to try it. 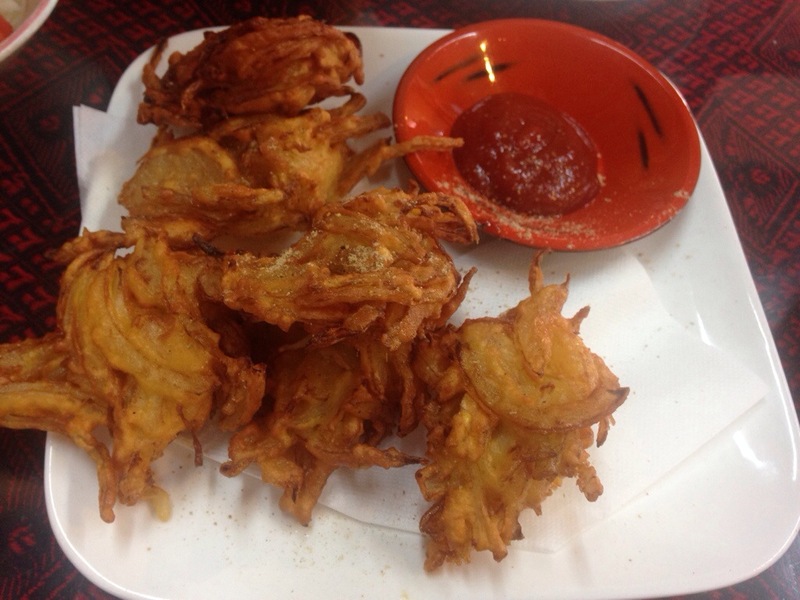 Below, these are some deep fried onions with some curry flavour. They were delicious. Our meal came! 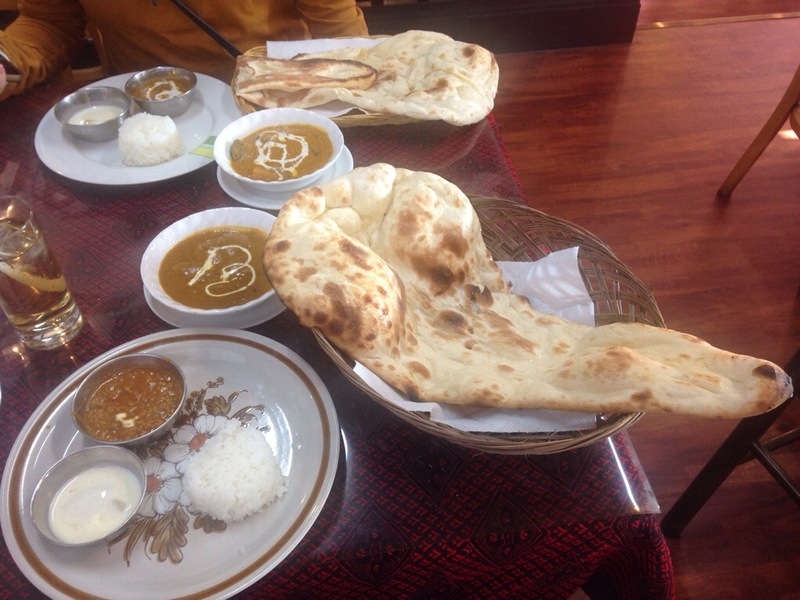 The naan was huge. I chose the beef curry, and it also came with keema curry. It was a big lunch, and we had to burn that off. Here’s the outside of the restaurant. 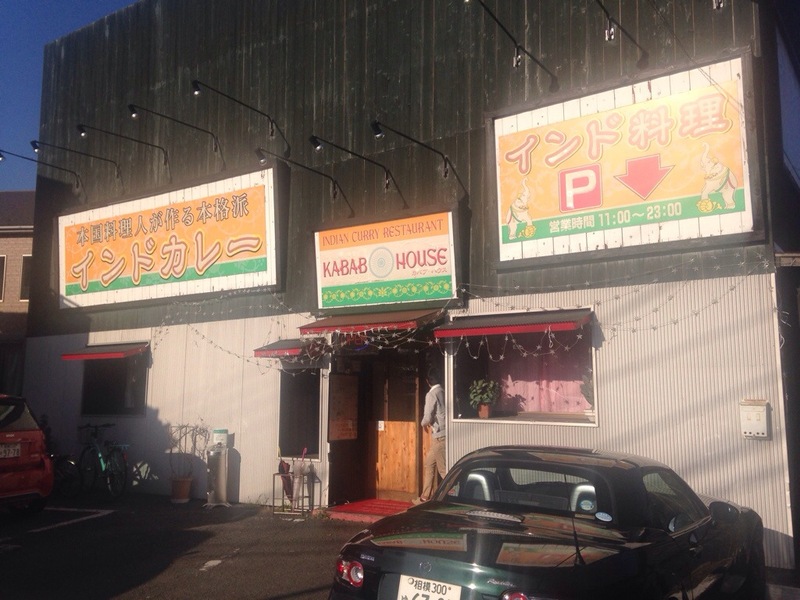 It’s actually a chain, so if you find Kabab House in Kanagawa, give it a try. 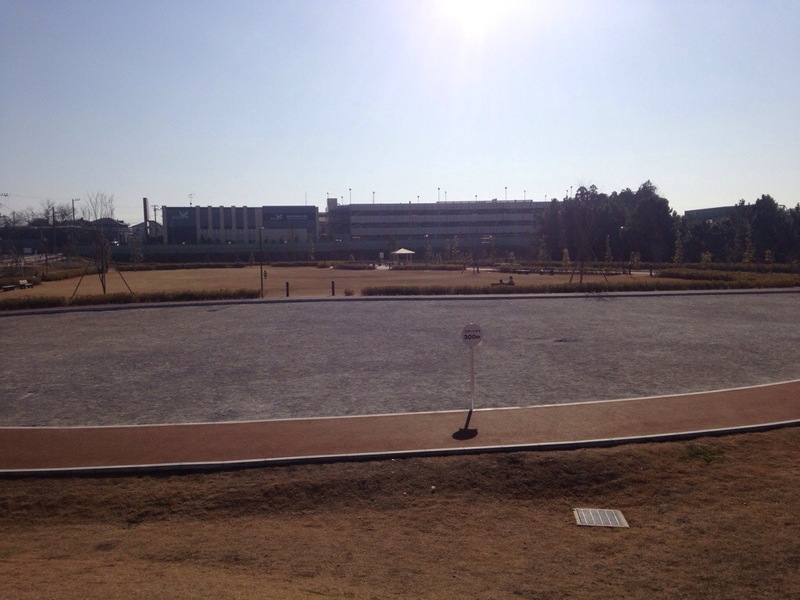 On our way back, we took a familiar route that went through Keio University. 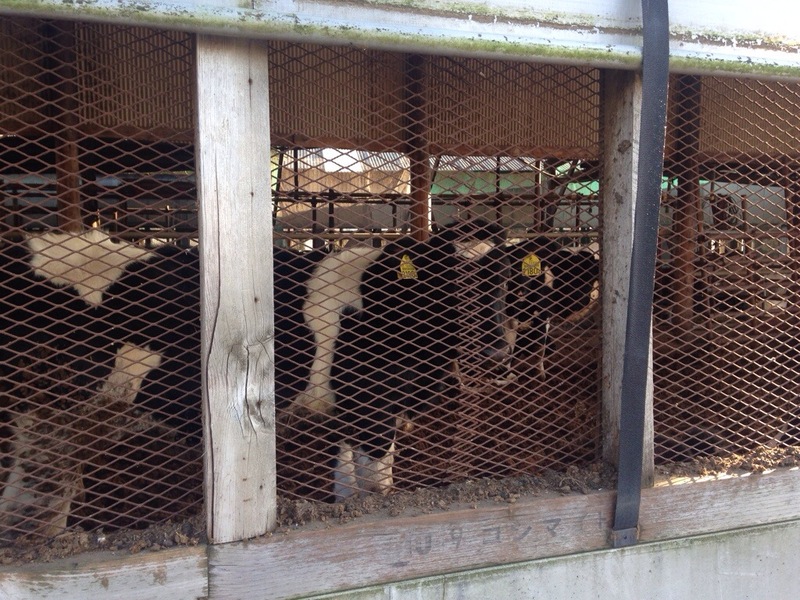 Before the university, though, we saw some cows. Moo. Looking back, we tried to see the mountains. The tallest peak is Mt. Oyama, which we climbed back in October. However, it was quite hazy due to the warm weather. Mt. 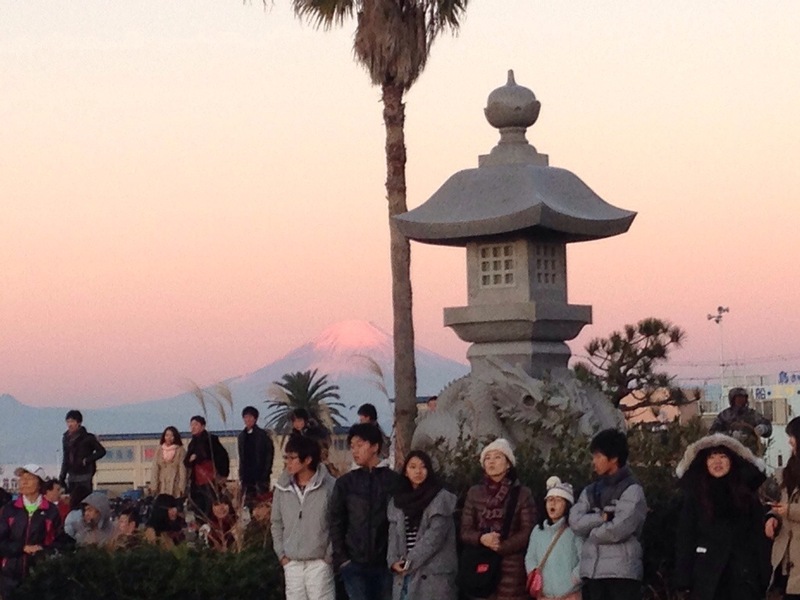 Fuji was not easy to see that day. And a look forward to where we were going. A lot of our walk was in a rural area. Quite nice to walk in the countryside. We made it home, tired, but feeling good. But this was only one day of walking. We also walked yesterday. That’s for another post. Do you like exploring areas near your home? Let me know in the comments below. The rest of our New Year is with the in-laws. What came next was a train ride. 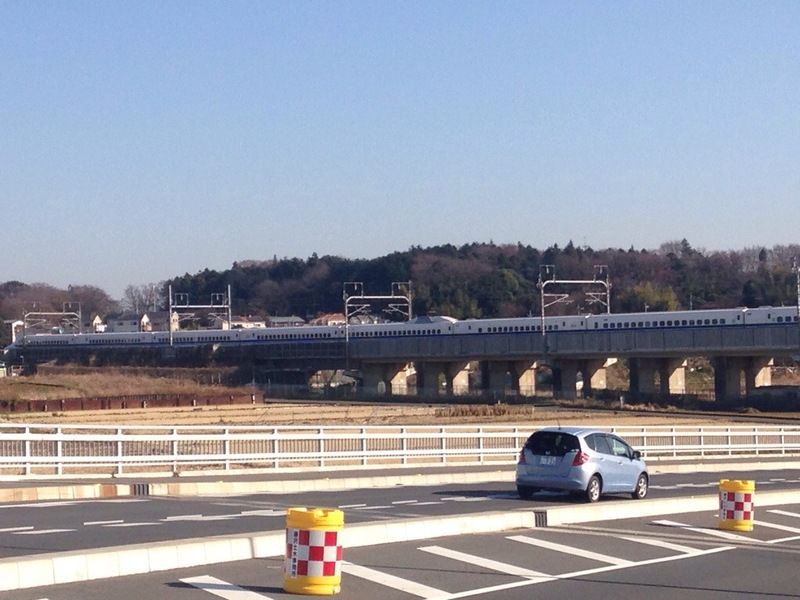 And this is the train we took. A closer look. It’s a Romance Car. 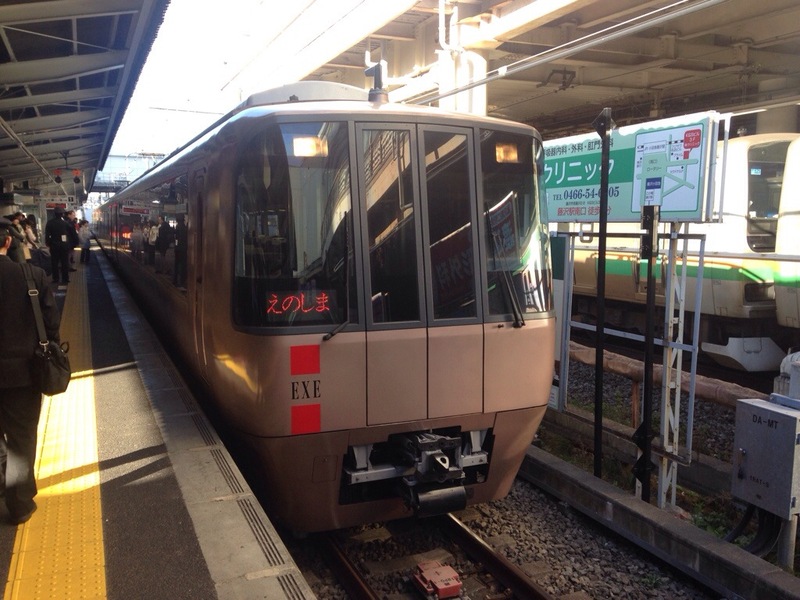 It’s an express train with reserved seats with Odakyu. 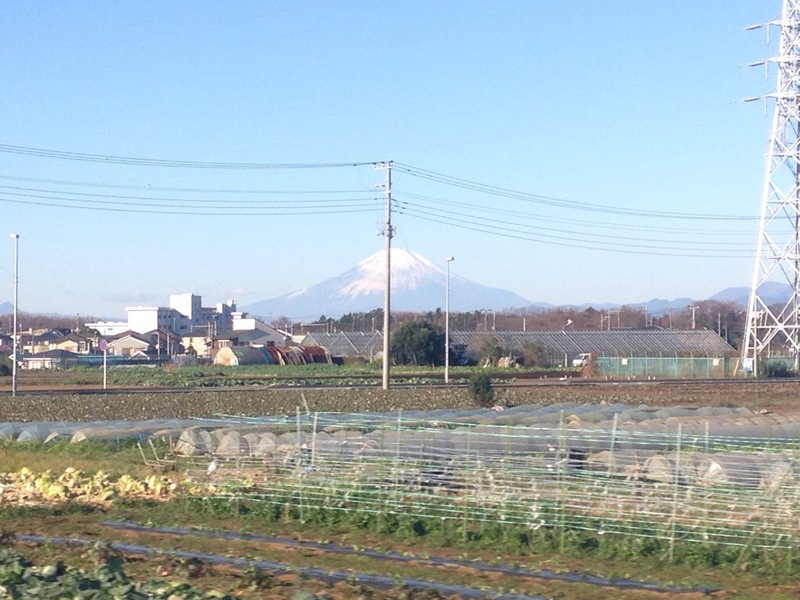 On the train, we got a view of Mt. Fuji. 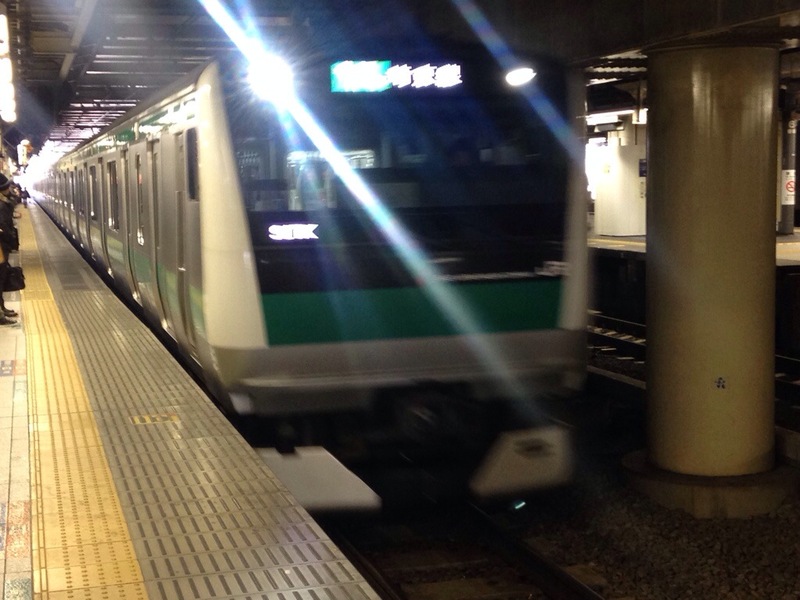 At Shinjuku, we changed trains to the Saikyo Line. 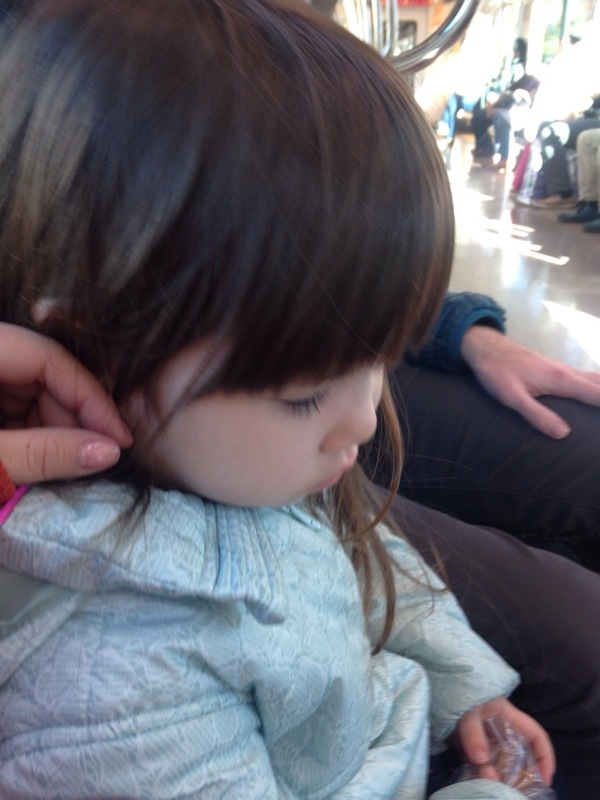 On the train, my daughter fell asleep sitting up. 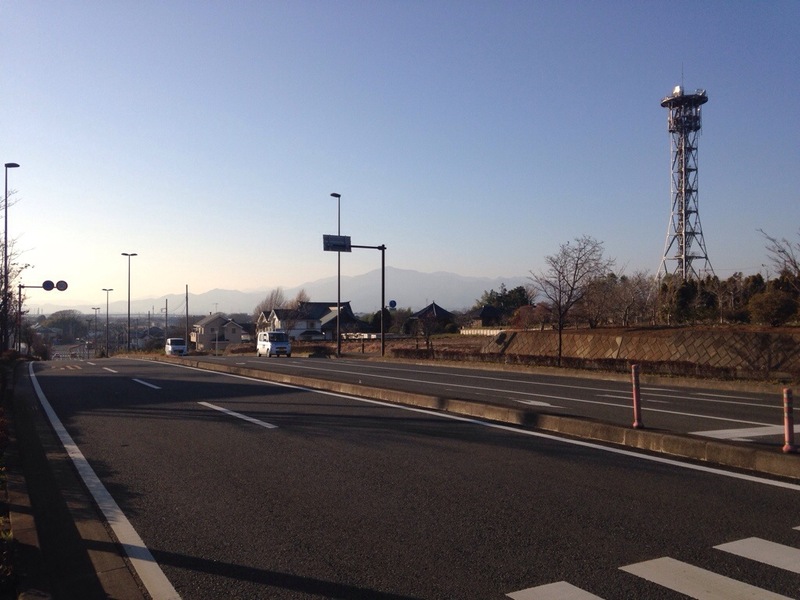 And in Saitama, we could see Mt. 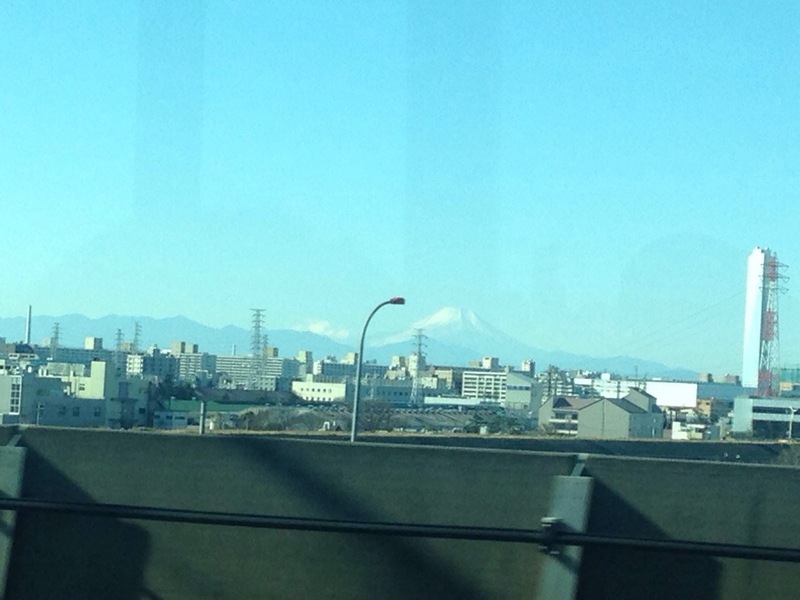 Fuji again. But it’s a bit farther away. Coming up next is lunch! 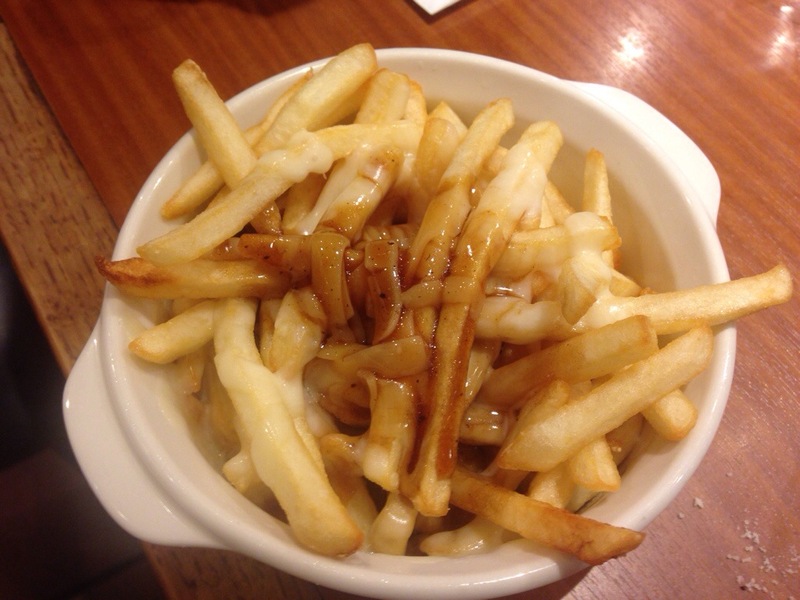 A New Year in Japan – Poutine for Breakfast! Poutine! A little Canada in Japan. It used shredded mozzarella instead of cheese curds. The gravy was a bit salty. But it was nice to eat it. Ever eat poutine in your part of the world? I think these pictures will speak for themselves. 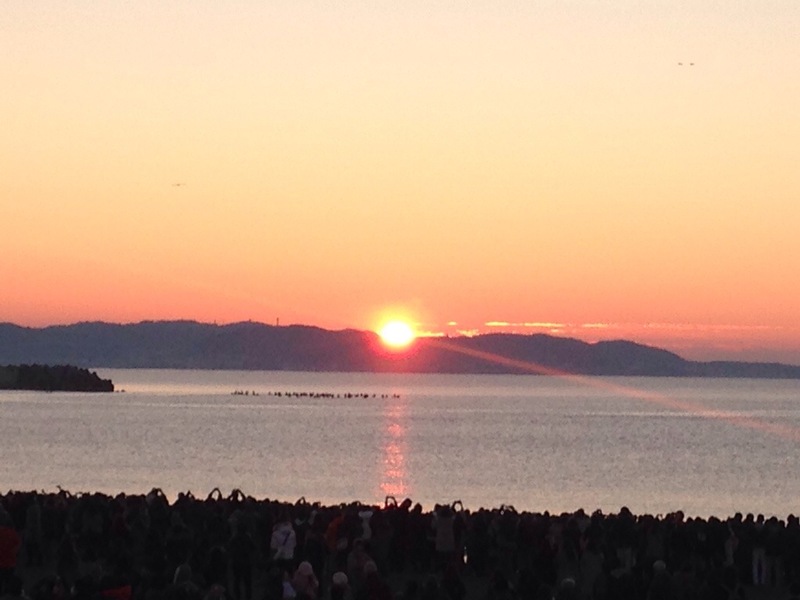 We successfully saw the sunrise at Enoshima this year. The clouds in the horizon made it even better. The sun isn’t up yet. 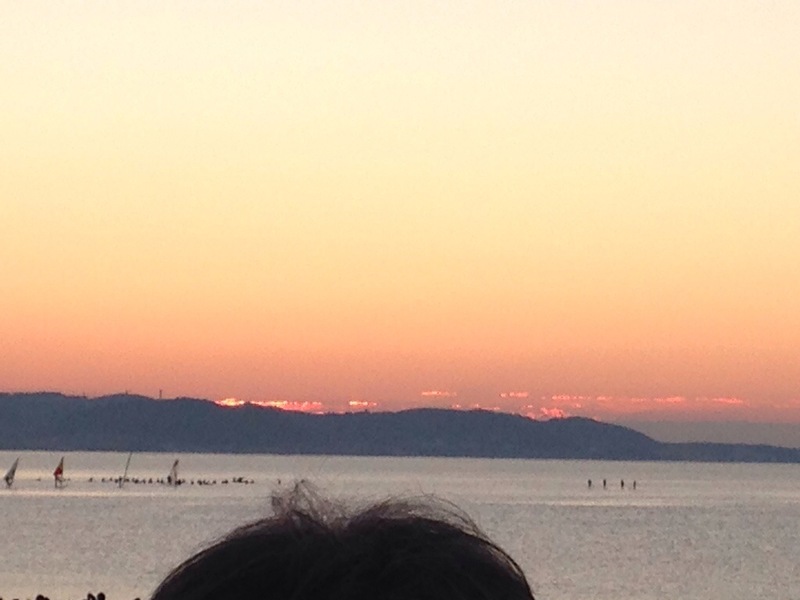 Some orange clouds on the horizon. Some reflection off the water. A final look at Mt. Fuji. Next up is a quick breakfast while we wait for our train.